It was evident right away that we wanted to or even needed to be a part of this fascinating cruiser culture. With our obsession of bikes and a keen interest in fashion and pop culture, we felt we could establish some really cool bike designs never before seen. We also found that nothing in the world ever seemed to matter when we were on our bikes. Bikes have always been a hobby of ours, at least ever since we were little runts riding through and around our neighborhoods back in the day. In the early 2000’s though, our love of bikes was taken to another level when we were swept up in the amazing Southern California beach culture. 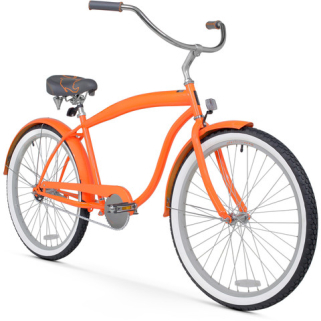 Living in Hermosa Beach, CA, we inherently found ourselves always on top of cruiser bicycles and we quickly grew to love, understand and embrace the cruiser bike culture and accompanying lifestyle. It was evident right away that we wanted to or even needed to be a part of this fascinating cruiser culture. With our obsession of bikes and a keen interest in fashion and pop culture, we felt we could establish some really cool bike designs never before seen. We also found that nothing in the world ever seemed to matter when we were on our bikes. We smiled more. We laughed more. We enjoyed more. This lifestyle was us. We wanted to spread the word and we wanted to help grow this special cruiser community, while putting our stamp on it. In 2005, sixthreezero bicycle company formed, where we began selling our bikes out of our modest Hermosa Beach garage, before moving to a proper warehouse in Torrance, CA shortly thereafter, our home today. More than seven years have passed since the first sixthreezero bicycle models were introduced and we are proud to say that tens of thousands of sixthreezero bikes are now cruising all around this great country of ours! 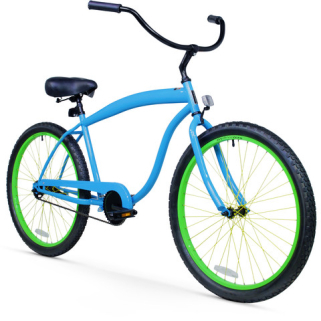 Sixthreezero bicycle company is at the forefront of producing really cool, simple cruiser bicycles that are comfortable, durable and reliable, all within a very reasonable price range. We love our bikes and are very proud of them, but that will never stop us from continually looking to improve in whatever way we can. Having said that, we stand 100% behind our products, now and forever. Once you hop on board with us at sixthreezero, we promise to do all in our power to keep you moving happy forever. 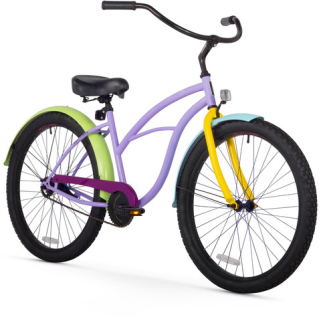 Not only will you get a great looking bike that will perfectly supplement your lifestyle, but you will get a fun, quality bike that that can also last a lifetime.